The Come Back Kids Charter school operates under the authority of the Riverside County Superintendent of Schools with the goal of preparing students for future success by providing a supportive school environment that focuses on increasing academic and pro-social skills, and foundational college and career experiences. 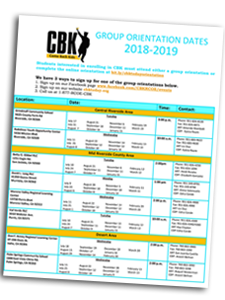 CBK offers many rewarding job opportunities for both credentialed educators and certificated support and management staff. Hiring for CBK is done through the Riverside County Office of Education Personnel Services Division. Information on employment and salary schedules can be found on the RCOE employment page. And current CBK job openings are posted on EdJoin.org. CBK leadership reminder.... Tomorrow, Saturday October 13 we are volunteering at the RCOE Foundation Fun Run at RCC! Make sure you are at your pick-up location bright and early.